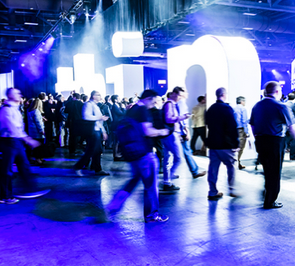 Join us at IBM's Think 2019 conference and pre-conference Think Exchange for Marketing, Commerce and Supply Chain. Discover how AI and blockchain powered solutions can help you make smarter decisions and fuel business transformation. We are reviving the spirit of IBM Amplify with this prestigious two-day pre-conference event featuring specialized tracks created for marketing, commerce and supply chain professionals. You will be able to network with peers, meet with top external thought leaders and learn from product experts. Then continue your journey at Think 2019 with end-to-end curriculum options relevant to your profession. Triple the total number of sessions from 2018. 7 tracks around AI for File Transfer, Marketing, Commerce and Supply Chain professionals. 120+ sessions on cutting edge AI and Blockchain capabilities and innovations.